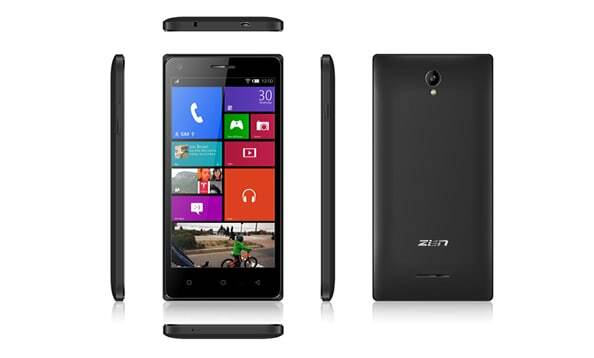 Indian mobile manufacturer, Zen Mobile, today launched Cinemax 2, the most affordable smartphone, in the Indian market. Cinemax 2, comes packed with a 5.5 qHD IPS display, 3G , Wi-Fi and 1 GB Ram and 8 GB internal memory and is available exclusively on Flipkart starting today. Cinemax 2, loaded with the new android 5.1 lollipop version, offers bold, colourful and responsive UI design for consistent and intuitive experience. Equipped with 5-megapixel centrally autofocus system with flash rear and 2MP front cameras, the smartphone is bound to give good clicks. The 2900 mAh powerful battery should let the users have uninterrupted fun with mobility for almost 7-8 hours. The smartphone is packed with Auto Call Recorder, 3G, Wifi and Bluetooth with headset connectivity.